Spring Iris. This is mixed media. 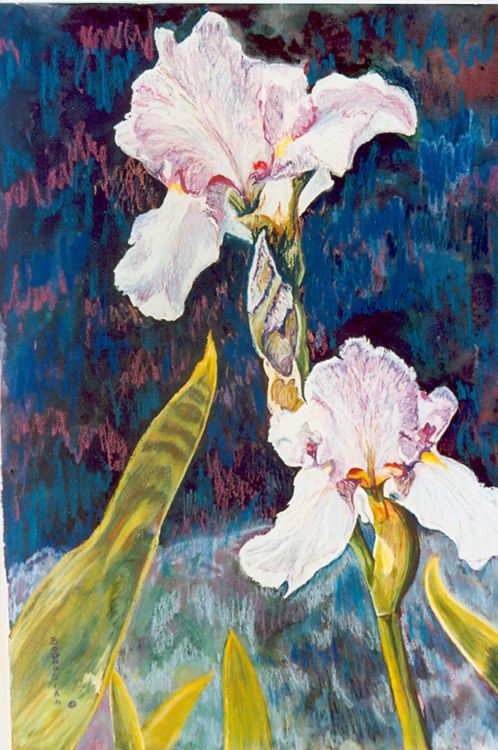 The base painting is a a watercolor on paper highlighted with pastels. size unframed- 24 x 30.